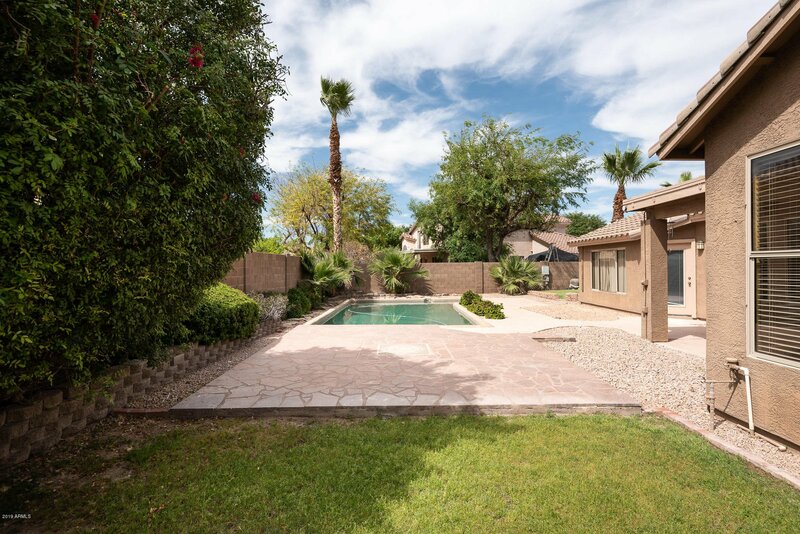 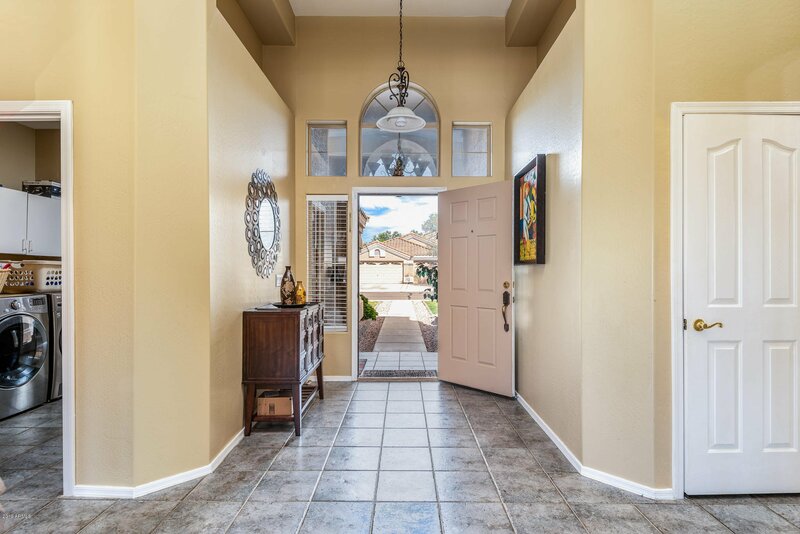 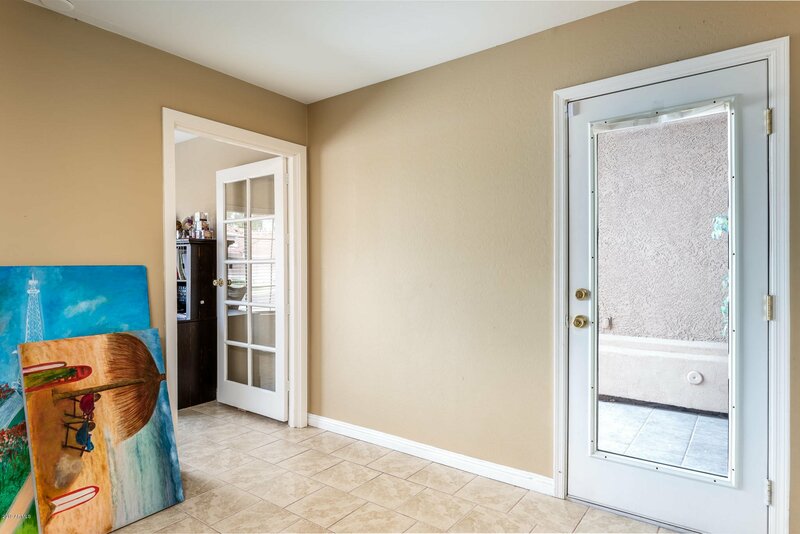 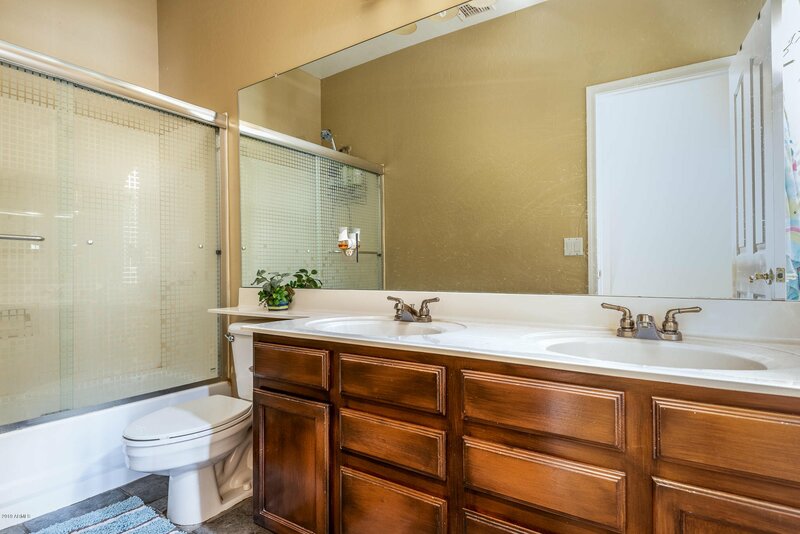 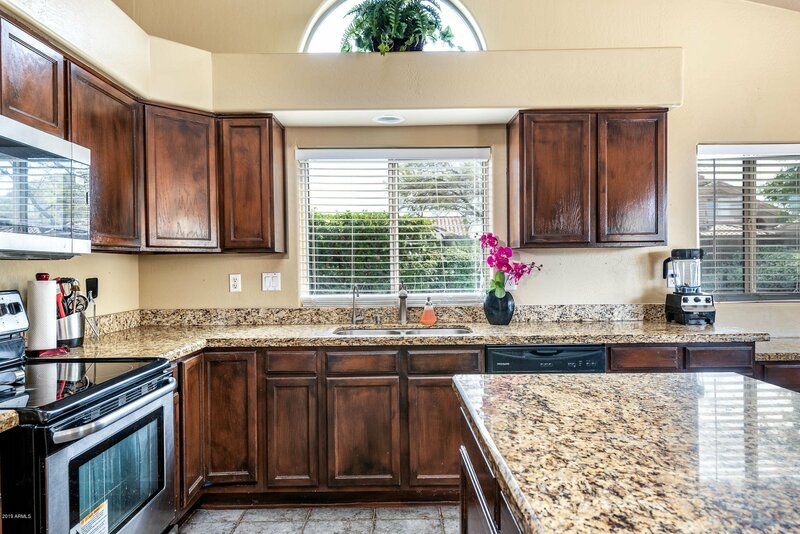 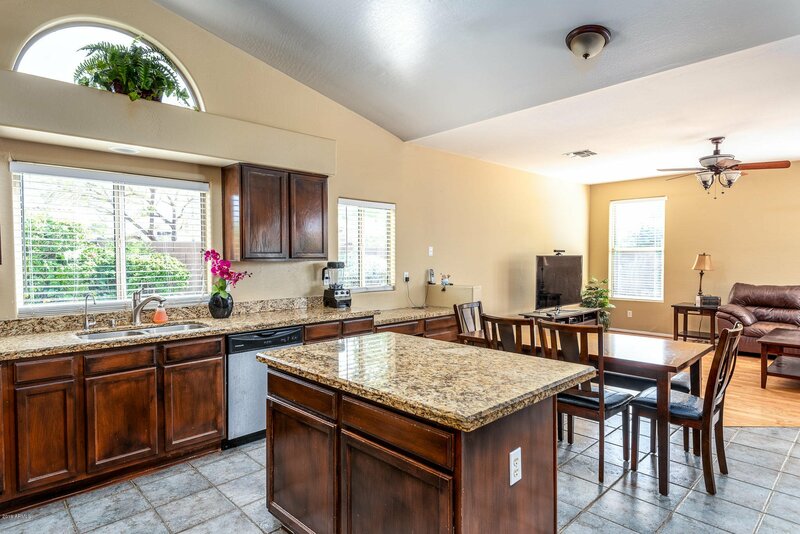 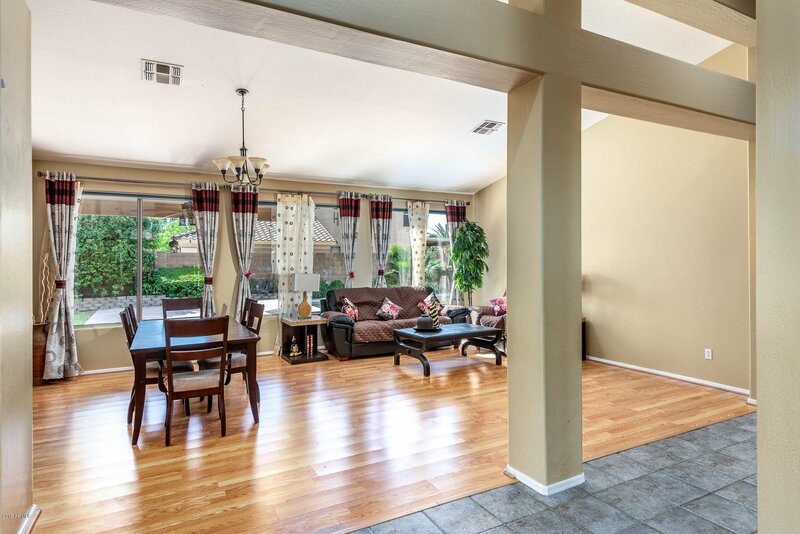 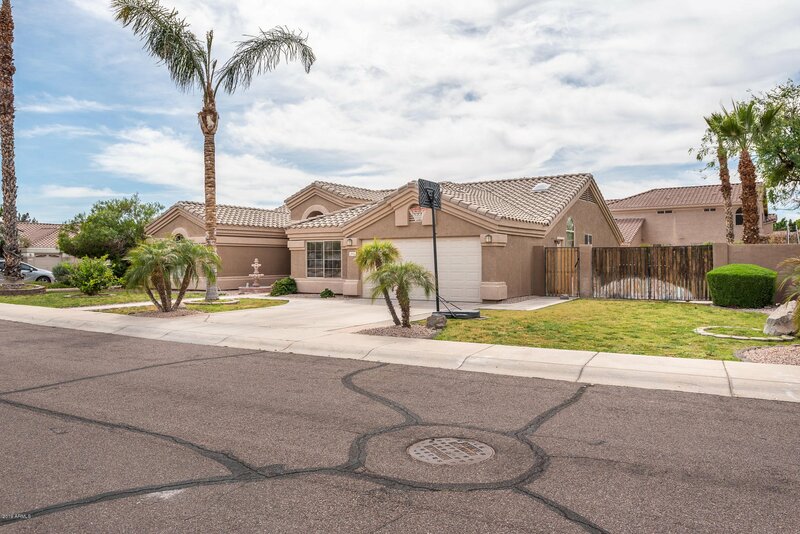 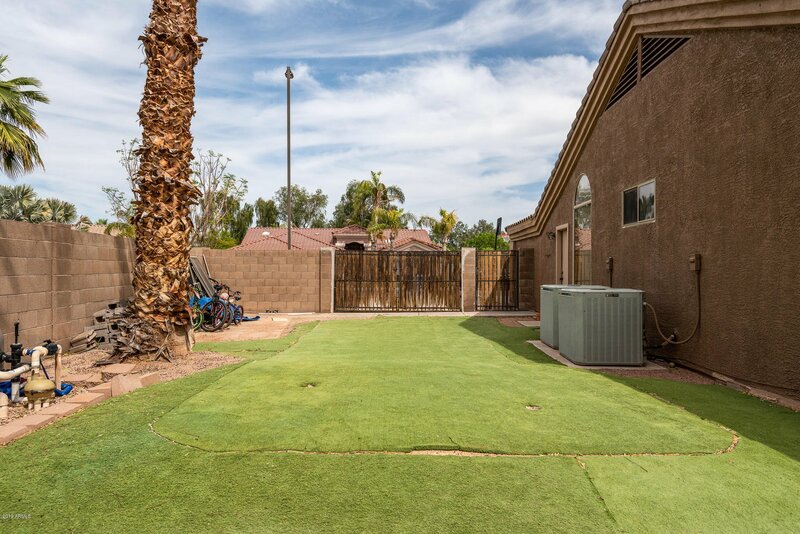 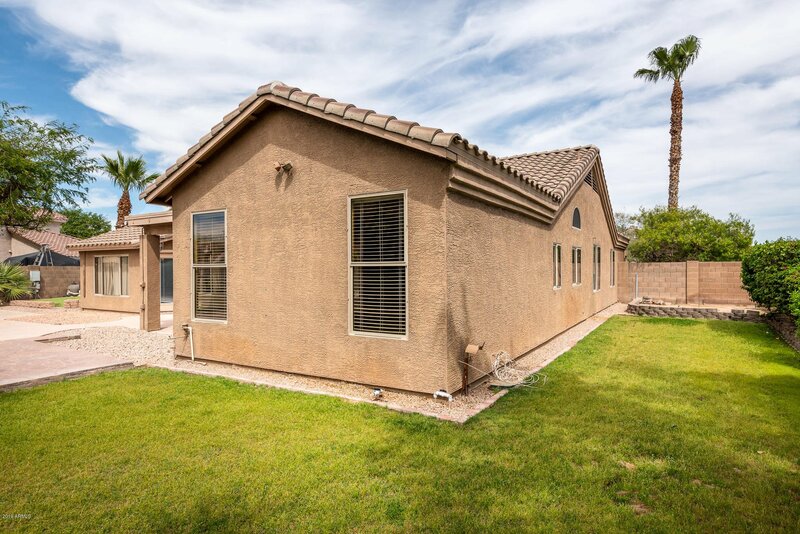 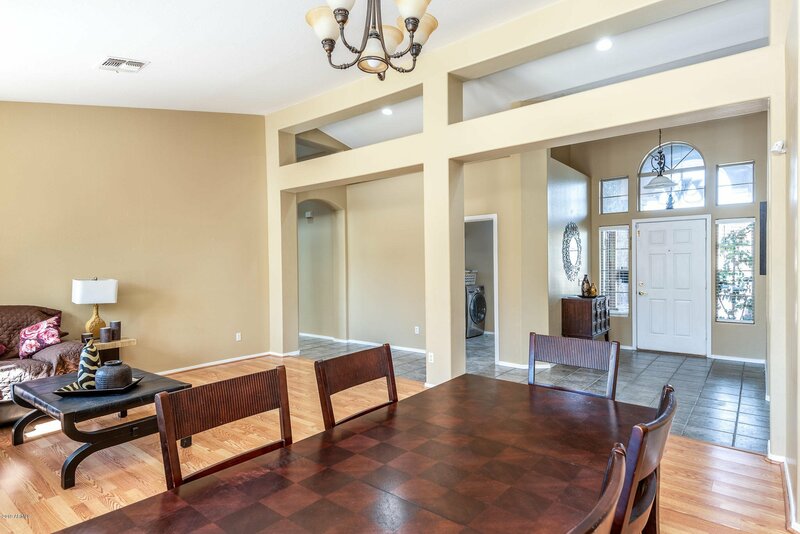 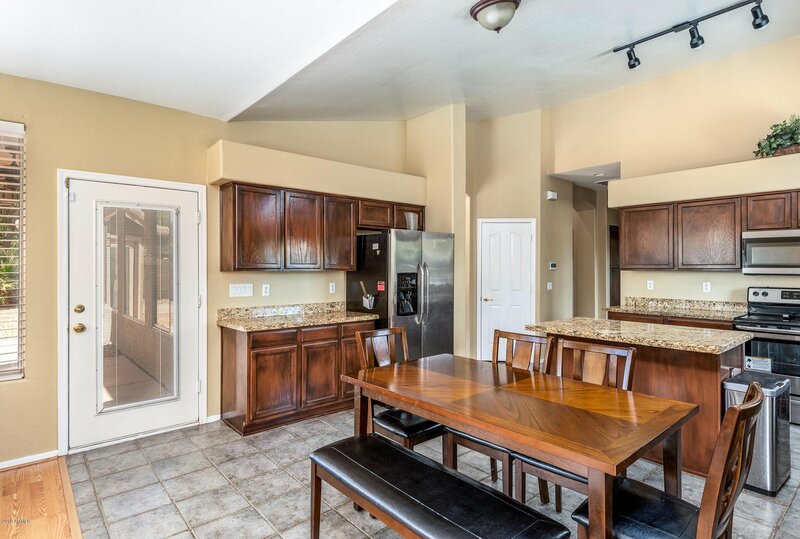 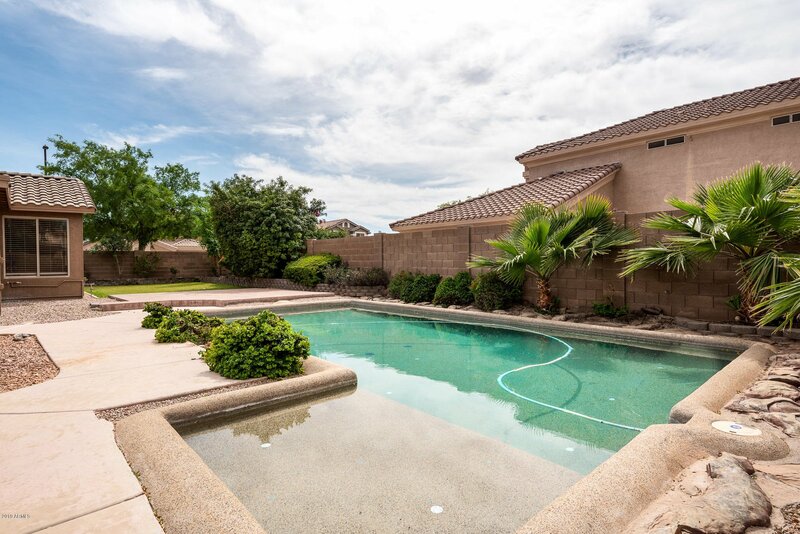 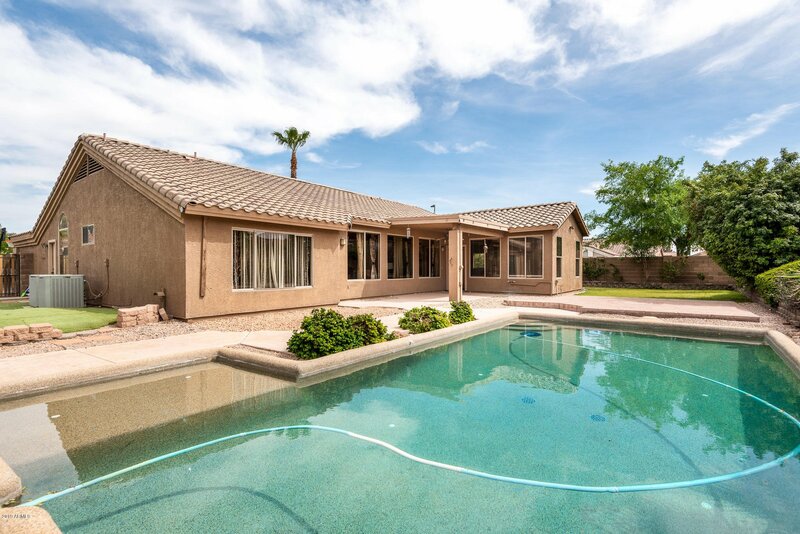 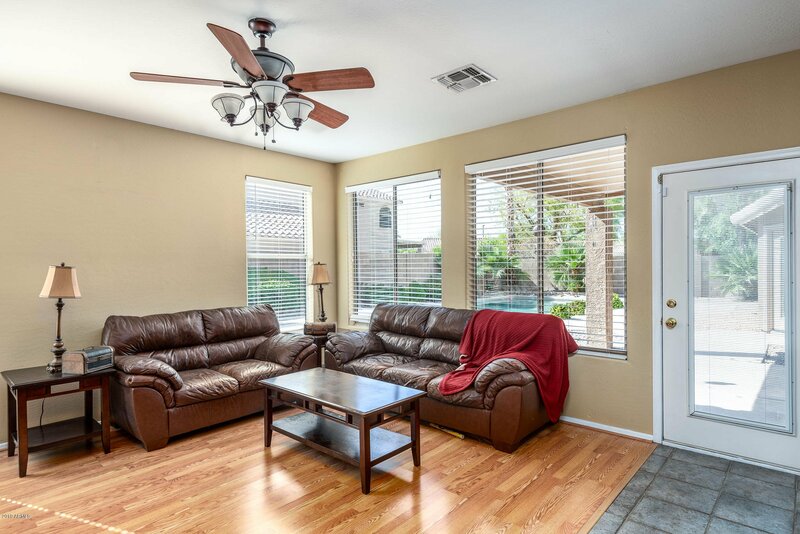 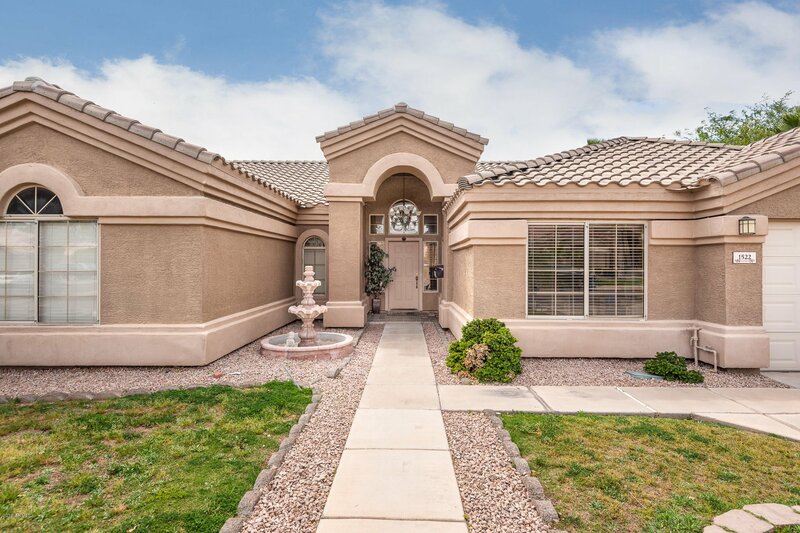 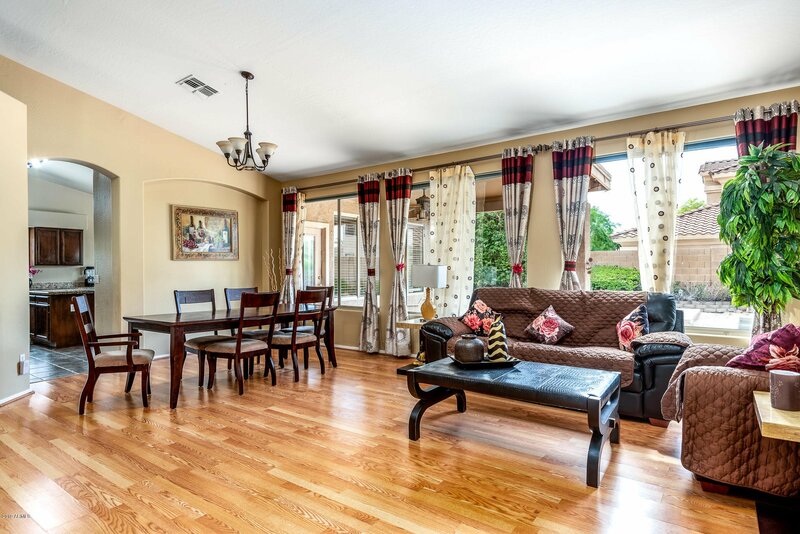 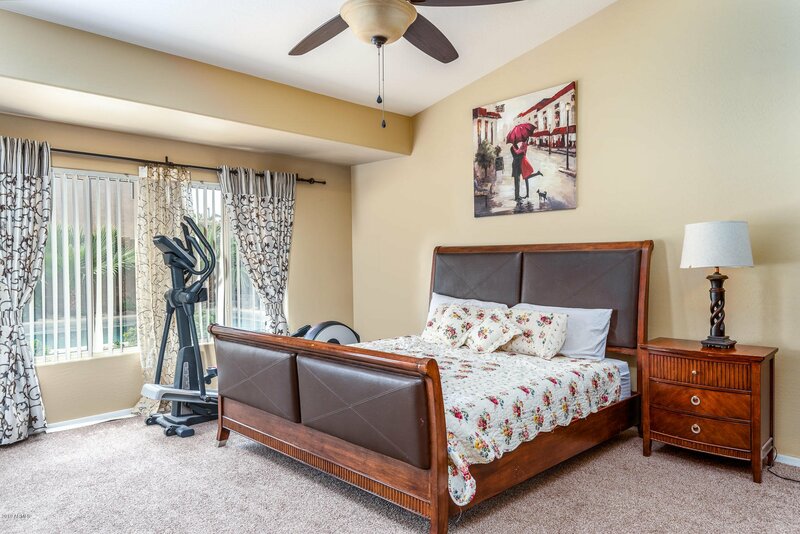 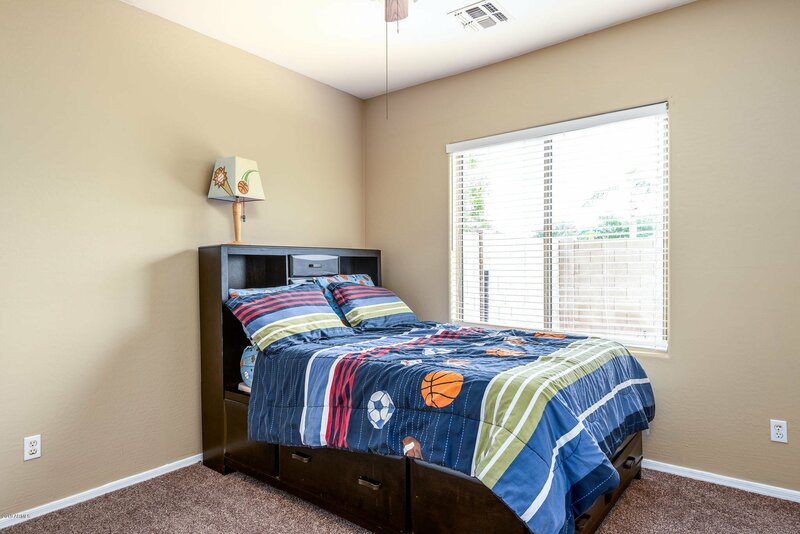 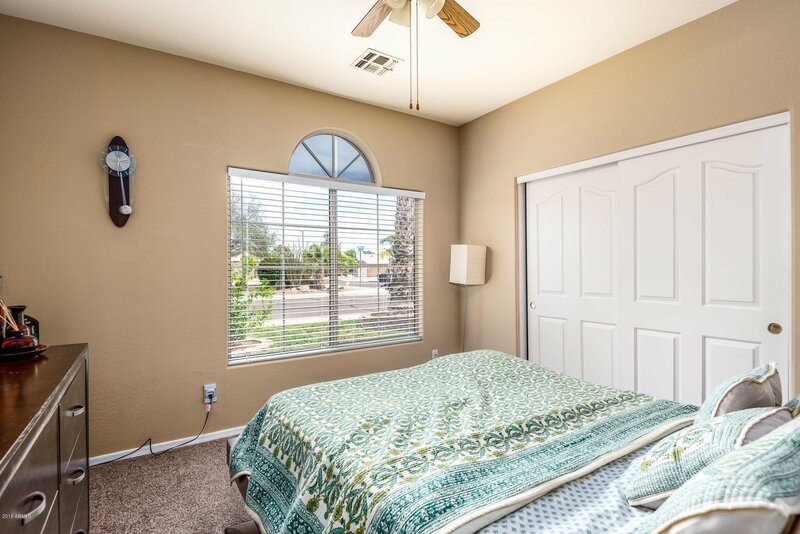 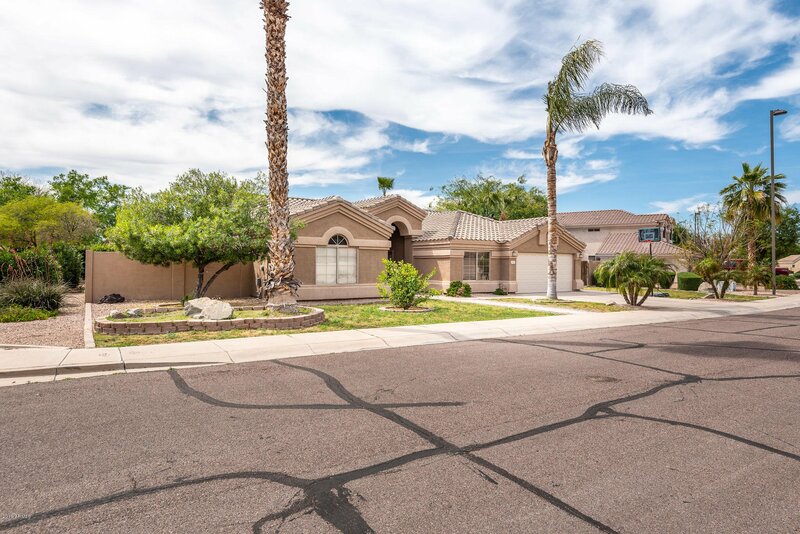 Situated on a 1/4 acre, corner lot just minutes from Down Town Gilbert, scores of dining, retail and entertainment venues, US-60 & L-202,this single-level, 4BR/2BTH charmer comes with a large sparkling Pebble Tec pool, covered back patio, usable RV gate, has a split floorplan with vaulted ceilings and features an open concept layout with tile flooring in all the right places, ceiling fans throughout, warm,neutral tones, loads of natural light, a generous kitchen boasting granite counters, lots of storage, island with breakfast bar, walk-in pantryand a built-in desk. 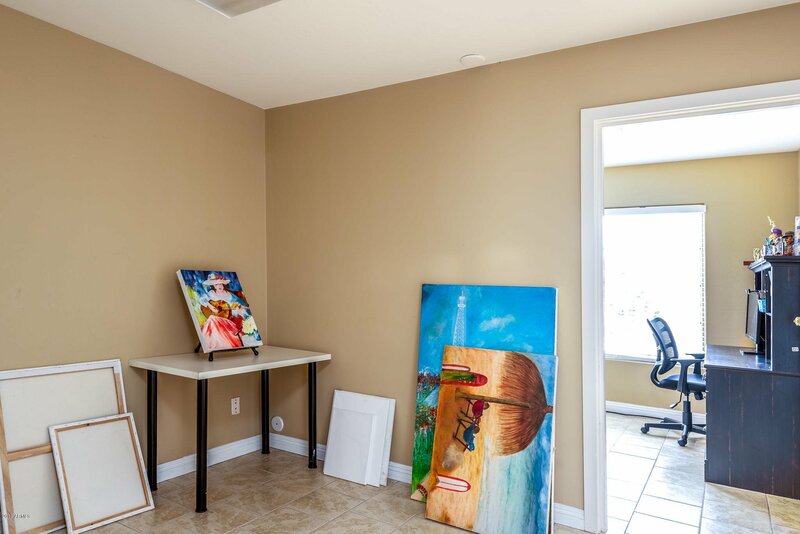 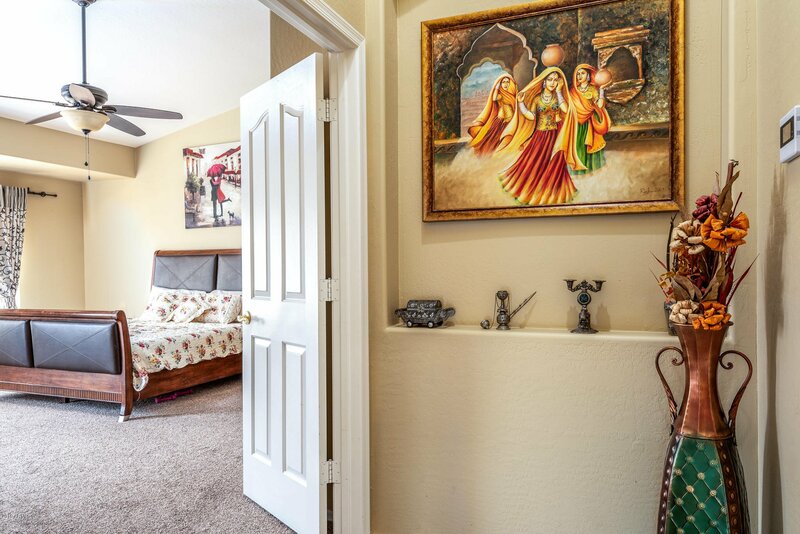 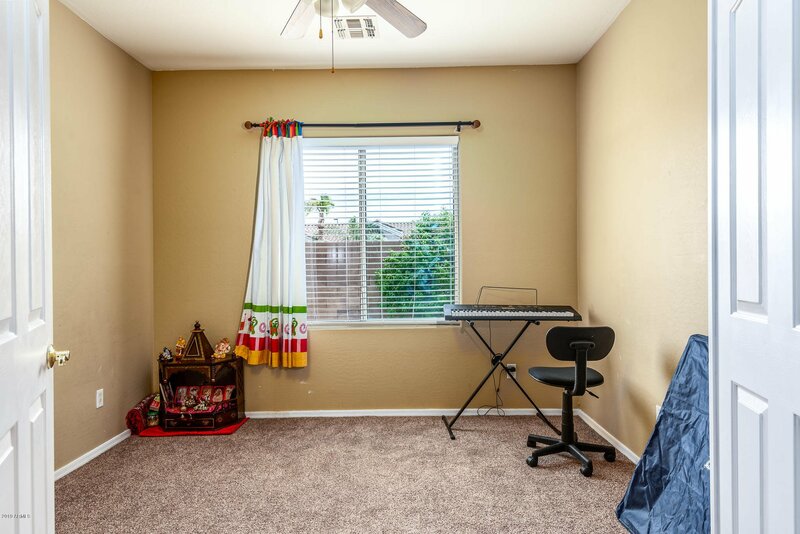 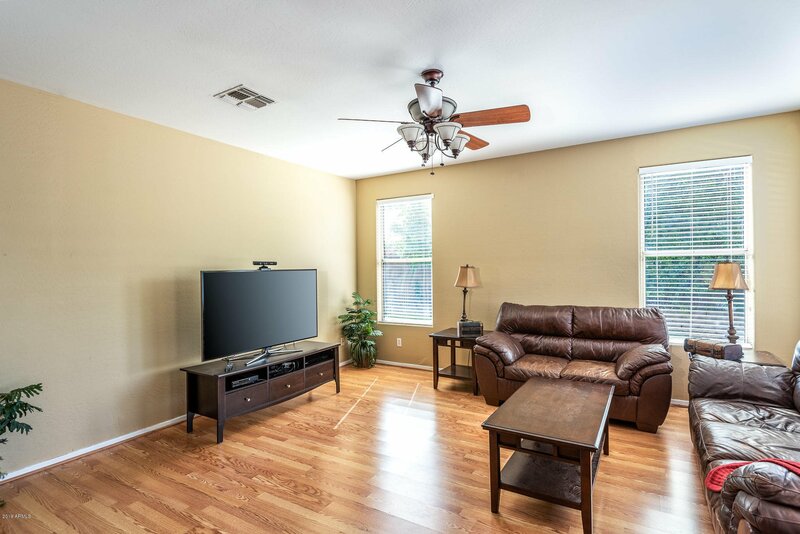 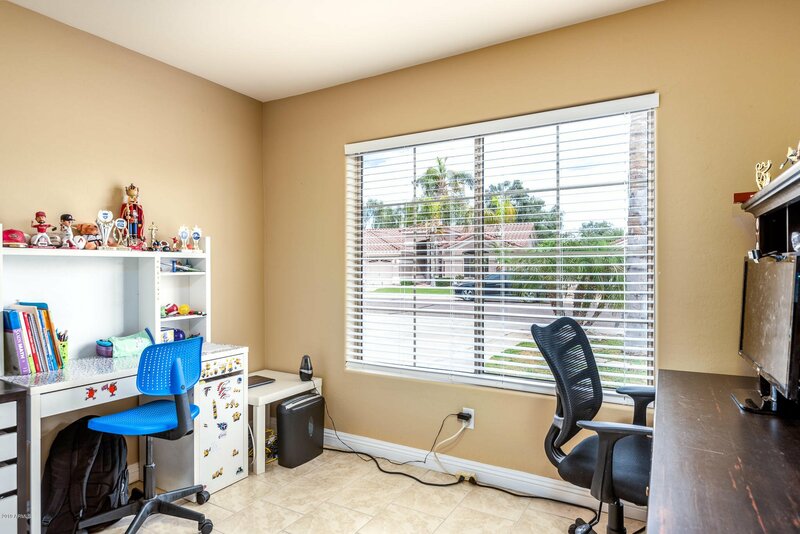 Bonus room(s) can be used as extra den, hobby room, office or bedroom. 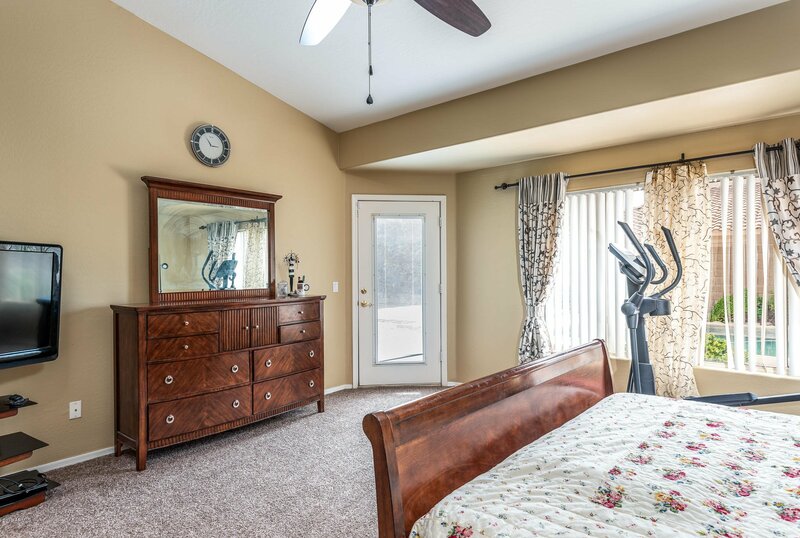 New carpet in bedrooms!